Japanese utility vehicle specialist Isuzu has just begun testing the facelifted MU-X luxury SUV in India. The MU-X is Isuzu’s flagship offering, and is built in India by assembling completely knocked down (CKD) kits imported from Thailand. The facelifted Isuzu MU-X will also take the same route. In fact, the facelifted MU-X has already been launched in Thailand, and is expected to arrive in India early next year. The new MU-X will sit in the Toyota Fortuner territory. The facelifted Isuzu MU-X will feature a slew of styling changes that make it look a lot fresher and muscular than the current model. 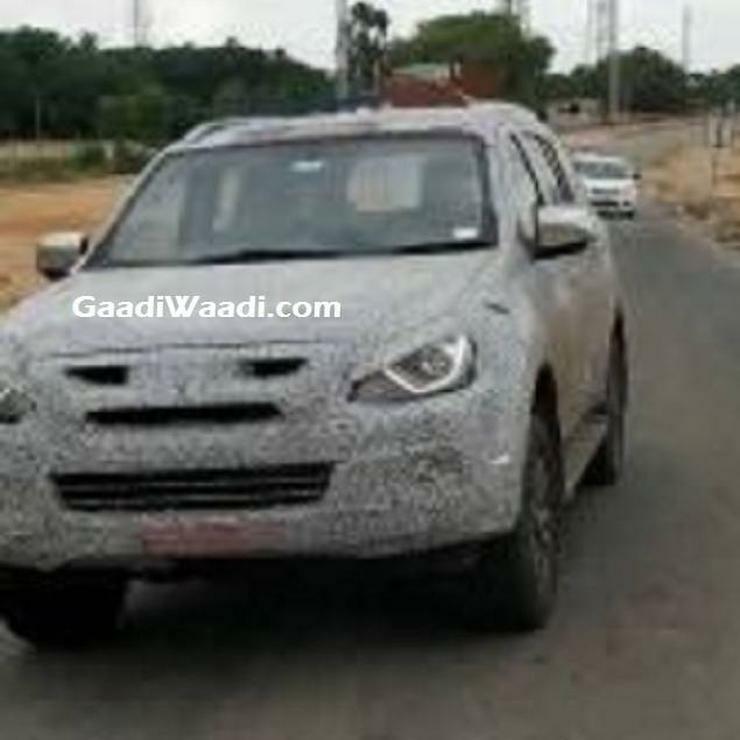 The front-end of the SUV will get a new bumper, new LED headlamps that have LED daytime running lights integrated into them, a new front grille and chrome laden fog lamp housings. 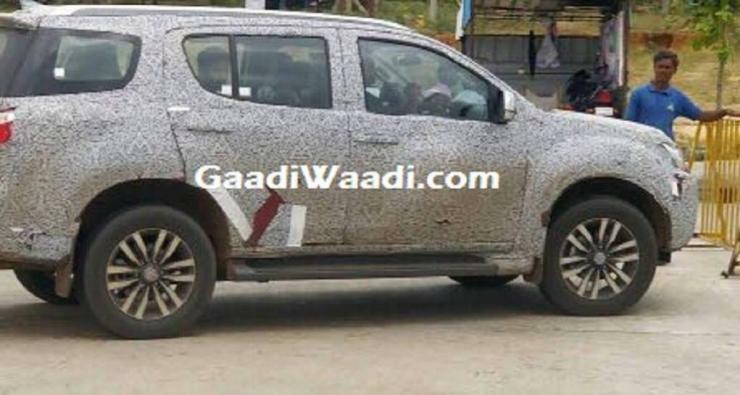 The rear will see a new bumper while the profile of the SUV will get taller, 18 inch alloy wheels. On the inside, the facelifted Isuzu MU-X is expected to gain a dual tone finish for the dashboard, faux wood inserts and soft touch plastics. The 8 inch infotainment interface situated on the center console is expected to offer a slew of features; from GPS navigation to smartphone connectivity. The MU-X will continue to offer keyless entry, a start-stop button, projector puddle lamps and automatic climate control. Isuzu is unlikely to revise the mechanicals of the luxury SUV. The tried and tested 3 litre-4 cylinder, common rail turbocharged diesel engine with 174 Bhp-380 Nm will continue on the SUV. The gearbox will be a 5 speed, torque converter automatic, with rear wheel drive and four wheel drive options on offer. No petrol engine will be offered, unlike what Toyota does with the Fortuner. The SUV is likely to continue in the same price band as it does currently, between Rs. 24.83 lakhs and Rs. 26.8 lakhs ex-showroom, Delhi. This will allow Isuzu to undercut the Toyota Fortuner, the current segment leader.